Posted on October 10, 2018 at 11:36 am. We have gentrified not only the core neighborhoods that once nurtured artists, but even the very cultural resources and institutions that catalyzed those changes. Artists and arts organizations that were leaders a generation ago, are now ossified, diminished, lacking in vision or hobbled by institutional pressures. The cultural leadership of Portland responds to our historical struggles with diversity and equity, by showcasing token leaders or works, without any lasting or meaningful contextual discussions or ongoing relationships. We begin the work, but we mistake these beginnings to be adequate compensations for the generations’ worth of systemic oppression and ignorance that we’ve inherited. I have never experienced a “Golden Age” of Portland cultural life. Every year, every era of my career, I’ve engaged in conversations with peers, audiences, donors, patrons, and other stakeholders, and those conversations have always identified the same obstacles: lack of institutional support; lack of a robust donor / patron culture; lack of affordable arts performance and studio spaces; lack of public funding; an inadequate print media / arts criticism community; a tattered and desperate arts education environment, too unstable and too vulnerable to other priorities to compete for limited time and funding; grant and foundation support that is difficult to obtain, onerous to administer and ultimately an inadequate resource that hasn’t kept up with escalating costs. Political and corporate leaders are reluctant to engage with the arts communities because they misunderstand our purposes, or they simply use the community-building rhetoric to sustain their own priorities. My peers and I are not without responsibility in this. We’ve responded by devolving into ever more mercenary, fragmented and ephemeral sensibilities. We produce work that exists in a vacuum, often more solipsistic and self-referential, rather than connected to a cohesive discipline or body of work. So much of our creative energy is expended in simply self- producing—applying for grants, seeking out donors, cultivating audiences, generating publicity materials and relationships, wrangling rehearsal / studio / performance spaces—that oftentimes this work devours the majority of the time and resources budgeted to begin with, mortgaging the actual creativity we’d originally set out to achieve. We are so busy sprinting from crisis to crisis, that we have no opportunity to put down roots, to consider the infrastructure of our community, to make intentional and sustained efforts that truly last. Policymakers and funders operate from strata of privilege that radically underestimate and misconstrue the experiences of artists now. For example, only now, after opening my 4th temporary homeless shelter for Transition Projects, am I able to access affordable health care, for the first time in over 17 years. At the same time, if I earn more than $30,000 per year, due to tax-credit-funded income restrictions, I am in danger of losing my housing. Confusing as that is, nevertheless, I am a 37-year-old, cis-gendered, heterosexual male person of color, occupying several positions of visibility and responsibility, and so I am what passes for an artist with privilege in this community. When I have a conversation with policymakers or funders, very seldom do I encounter anyone who can relate to these privilege circumstances. Their eyes glaze over when I attempt to explain, with any specificity, the challenges facing myself, my peers, or my organizations. By the same token, audiences and donors express bewilderment, and offer their best intentions, but do not have the capacity for more in-depth conversations. We all have agency in these issues. None of what I have described is new, nor will any single policy initiative or community organization address this comprehensively. Doubtless much of my circumstance is my own responsibility, the result of artistic and professional choices I’ve made and the merits of my own work. Nevertheless, I do believe that more candid, transparent relationships between policymakers, leaders, and other stakeholders, and the artists and audiences whom we serve, would help with these issues. We need to actively ensure that our leadership and power-sharing positions are filled with folks that are truly representative of the diversity of perspective and experience that we possess in this community. For example, boards of directors should be staffed not just with major donors and corporate representatives, but also people of color, LGTBQIA, different socio-economic and educational backgrounds, and others, with specific and detailed board position responsibilities that empower these advocates to carry the same authority and influence as their more-privileged colleagues. We can also work to de-mystify the decision-making processes that fund the arts in this community. We should be discussing artist compensation, and the interplay between how we value artist’s time and labor, and why ticket prices or funding sources won’t sufficiently support the arts ecology as it’s currently structured. We should be discussing these issues openly, and across the different arts disciplines. In all events, please know that I do appreciate and see the work that you and our collective forebears have done to bring us to where we are today. There is much that I’m proud of, and much that contributed to bring me to these positions of privilege that I now occupy. I’m honored to be of the same community as all of you. Paul Susi is an educator, activist, arts administrator and a performing artist based in Portland, OR. He has appeared onstage with Boom Arts, Profile Theater, Shaking the Tree, Push Leg, Anon It Moves, String House Productions, Action/Adventure Theater, Los Portenos, Cerimon House, NW Classical Theater Collaborative, and Portland Actors Ensemble / Shakespeare in the Parks. Paul has appeared regionally and internationally with Shakespeare Santa Cruz, Vermont Stage Company, Island Stage Left (San Juan Islands, WA), Boom Arts/Teatro SOLO (Argentina), and Stacja Szamocin (Poland). Paul serves as the Co-Chair of the Multnomah County Cultural Coalition, the grass-roots re-granting arm of the Oregon Cultural Trust. 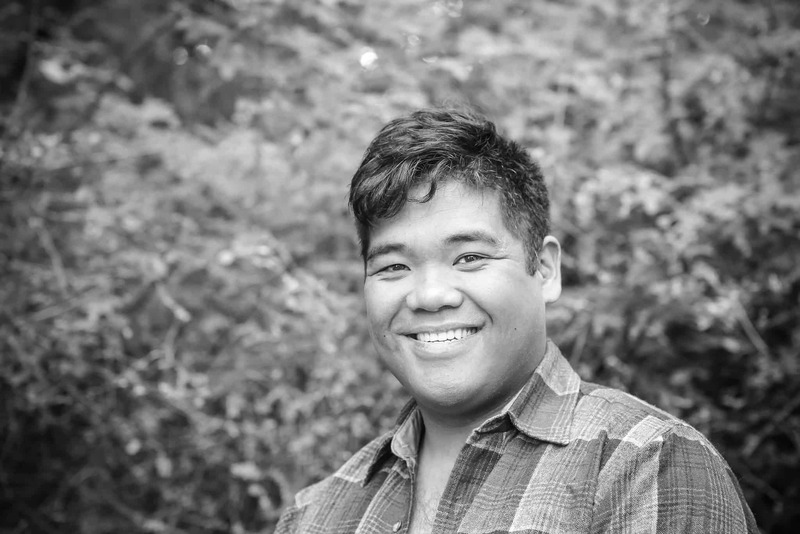 He is a Conversation Project Facilitator for Oregon Humanities, where his Conversation Projects, “This Place” and “Does Higher Education Matter?”, have connected with communities from Astoria to Grant’s Pass. He is currently touring a solo performance, “An Iliad,” directed by Patrick Walsh and with live original music by Anna Fritz, to 15 prisons and other facilities throughout this state.